Data Portcullis has undergone many months of intensive performance testing and tuning by our certified SQL DBA so that it performs with incredible speed and efficiency. To underline exactly how impressive the Data Portcullis systems is – note that all of the following test results were collected from a low specification Server – a basic quad core processor running just a single SQL Database. The Performance throughput metrics gathered from a dedicated load balanced multi-server setup are far in excess of this, but have a look at exactly what it can do with only the most basic server setup. 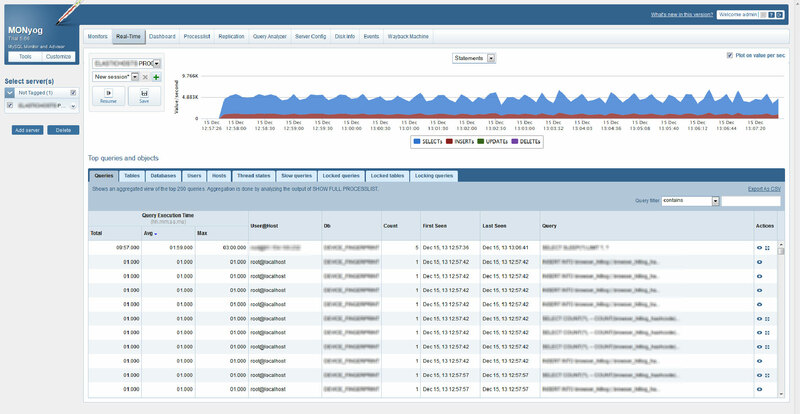 Even on such a low specification machine – the ability to properly analyse and record over 40,000 unique visitors per minute caters for 99% of the worlds websites and web servers. According to ‘QuantCast’ the total number of unique visitors per month for most of the worlds busiest websites could be processed by Data Portcullis in only a few days – and it can do this in real time without adversely affecting the ‘normal’ performance of the Website or Webserver it is monitoring. Data Portcullis has been designed as a model of data transmission efficiency, keeping less than a single Kb of data for every connection that it examines. As a result, the number of database tables used and indexes created are kept to an absolute minimum, so even where the system has been running for a long time, the database growth is not significant enough to seriously affect system performance. 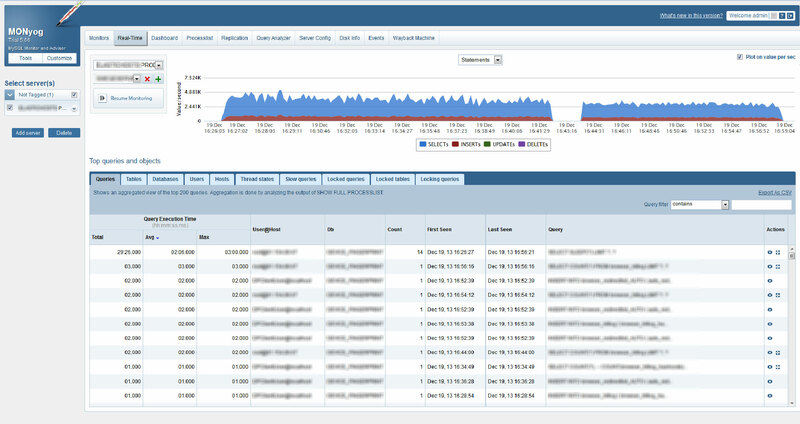 This is a ‘snapshot’ of a real Data Portcullis Server and Database being stress tested at our labs. This ten minute long snapshot was taken early on in the stress test while the database was fairly small and contained only a few million database entries. A few days later, the following ten minute ‘snapshot’ shows the same Data Portcullis Server, but now it has tens of millions of rows in the database. Due to the unrealistic database size, there has been a slight (fully expected) degradation in the throughput metrics. Despite this slight degradation, and the enormous number of rows in the database – the performance speed is still very impressive. This one hour long snapshot was taken a few weeks later. The database has finally settled down, and its continued database size and indexing growth rates are now clearly apparent. 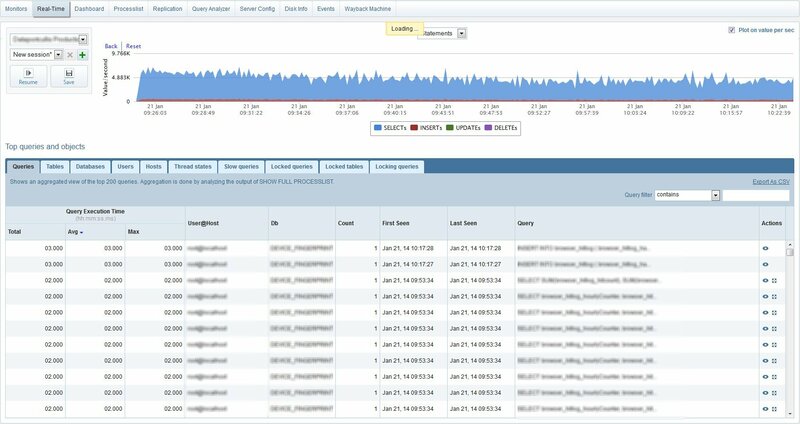 Over a 60 minute monitoring session, the database had grown by an additional 1,379,917 rows – i.e. this total number of new, unique connections have been analysed by Data Portcullis during those 60 minutes.